returns too big to swallow! Invest your money with double guarantee in shares. 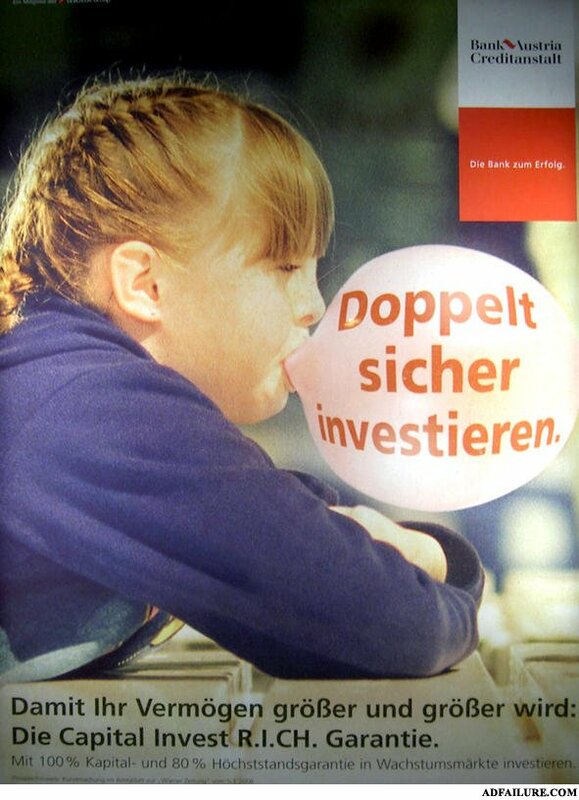 Advertising fom 2005 for one of the biggest bank institutions in Austria.